I started Beauty Therapy at CYT in October 2017. I went in with some knowledge of the course, but was very anxious and lacking confidence. Once I started, I made so much progress and gained lots of confidence in my work. The tutors guided me so well throughout my year there and I spoke to them about going to College and they prepared me for my interview. Once I got accepted to my Level 5 Beauty Therapy course at the Ormond College, Kilkenny, the CYT tutors helped me to complete the process. As part of my training, I completed a Sewing Craft module and found I learned so much from developing patience in being able to complete projects to a high standard and feel this is a skill that will stay with me. I can't thank everybody at Carlow Youth Training enough for everything they did for me. I can't recommend the centre enough. The first course I did was Catering. Now I am doing Childcare, while out on work placement. 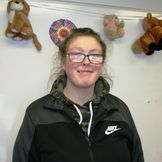 The centre has really helped with my confidence and learning lots of new skills. It also helped me meet new friends and made me realize I had a lot of skills and how I could put them to good use. At the moment I am on a six month work placement in a crèche in Bagenalstown called Stepping Stones. I am finding this challenging but wonderful as I am gaining lots of new skills. This is the area I would like to further my career in. I would highly recommend the centre and the staff are on hand to help. I enjoyed every minute of my time spent in Carlow Youth Training, a great place to go if you've left school and want to do something with yourself. It’s friendly and you can achieve so much from the training you get there and you can make lots of friends too. I am so happy to have got a job that I love with Sam McCauleys Fairgreen and I feel so much more confident now that I have my training there. I would highly recommend the centre to young people. Carlow Youth Training helped me be more independent and meet new friends. It has helped me with my hairdressing skills and learning new things. The staff are helpful and always give you the confidence boost you need. I’m now fully employed by Supervalu Carlow, I really enjoyed my time in CYT (Carlow Youth Training). I felt very supported there while I did a Health Related fitness course. The trainers were very helpful there and I would highly recommend the centre. 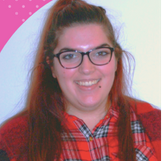 Carlow Youth Training helped me to meet new people and helped me to talk to them. It got me out of my shell a bit. I’m not as afraid of people as I used to be. It gives me the opportunity to learn and find out what I’m really good at. It’s nothing like school, as every tutor is kind and helps you. Carlow Youth Training has helped me meet new people, learn new skills. It has also given me the opportunity to go out on work experience to see if it’s for me or not. The staff are friendly and helpful. Carlow Youth Training has helped me progress in hair and beauty. It also gave me an opportunity of working in a Beauty salon. The staff are always very helpful and want the best for you. Carlow Youth Training has helped me mature and meet new friends. It has helped me reach where I want to be in life and has helped me progress in hairdressing. The trainers are also very nice and friendly. I found the centre to be a great place for people to learn new skills and develop to your full potential. The environment in the centre is relaxed and easy-going. The tutors are always willing to help and support you to gain employment. I have enjoyed my two years at Carlow Youth Training and wish to thank them so much for all their help along the way. I now love my new role as a Childcare Worker in a Crèche in Carlow.